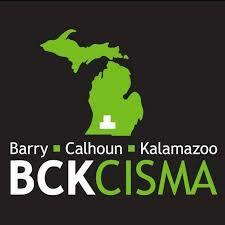 Barry-Calhoun-Kalamazoo Cooperative Invasive Species Management Area (BCK CISMA) is funded by the Michigan Invasive Species Grant Program (MISGP). BCD houses the CISMA coordinator who will work with partners throughout the tri-county region to educate, survey, prioritize, and treat invasive species. This education is free of charge and participation in CISMA management planning is open to the public. Please contact your BCK CISMA coordinator, or visit our getting involved with BCK CISMA page, to learn more on how you can get involved fighting invasives today! For more information, you can also visit the BCK CISMA Facebook page and the Michigan Invasive Species Coalition (MISC) webpage.